The two accused reportedly confessed to their links with JeM during their four-hour long interrogation by Uttar Pradesh Director General of Police O P Singh. New Delhi: The two Kashmiri youths, who were arrested by the Uttar Pradesh Anti-Terrorist Squad (ATS) from Deoband in Saharanpur district, have confessed to their links with Jaish-e-Mohammed and planning a terror strike, according to a Times of India report. The two alleged Jaish-e-Mohammed (JeM) terrorists – Shahnawaz Ahmad Teli from Kulgam and Aquib Ahmad Malik from Pulwama – also admitted having been in touch with Pulwama terror attack mastermind Abdul Rasheed Ghazi, who was neutralised by the security forces five days the killing 0f 40 CRPF jawans. According to the report, the investigators claimed that they obtained voice messages of one of the two suspects in which he is heard talking about some “bada kaam” (big task) and “samaan” (goods). “They have confessed to their links with JeM in front of me and have given specific information based on which we are hopeful of some more recoveries in the near future,” Singh was quoted by Times of India as saying. The two also said they were contacted by some top commander of JeM and joined the group on their insistence. Meanwhile, according to media reports, the National Investigation Agency is believed to have obtained a crucial CCTV footage from the area of attack and villages nearby, to analyse where the explosive-laden car driven by suicide bomber Aadil Ahmad Dar came from. The Maruti Eeco car was registered eight years ago and the NIA team has identified the owner of the car, who they claim is in hiding. NIA official claimed that they have strong evidence regarding Dar’s allegiance with Jaish-e-Mohammad (JeM) since the time he ran away from his home. Reports suggest that Dar harboured special animosity towards the CRPF, after their alleged attempt to set his Kakapora house on fire in summer of 2018. 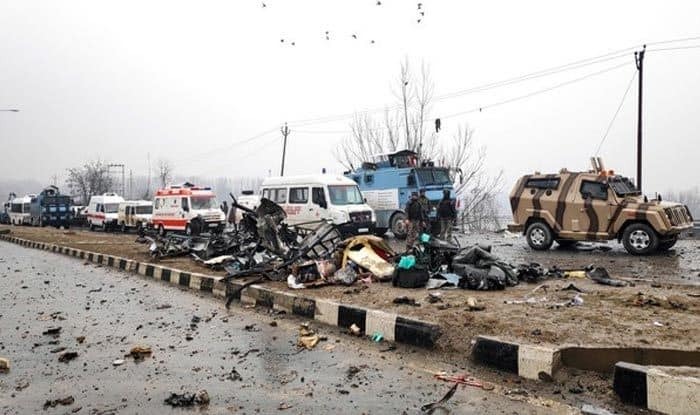 On Monday, the three JeM terrorists, including two Pakistani nationals, were killed in a 16-hour encounter in Pinglan village of Pulwama district, about 12 km from the site of the February 14 attack on the CRPF convoy which left 40 jawans dead. Two of the slain terrorists were identified as Kamran and Abdul Rasheed alias Ghazi, the so-called divisional commanders of JeM for Pulwama, Tral and Awantipora areas of South Kashmir. The third one was Hilal, a resident of Pinglan in Pulwama. 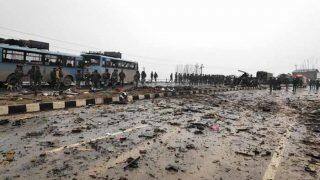 The encounter came five days after a JeM terrorist rammed an explosive-laden vehicle into one of the vans of the CRPF convoy on the Jammu-Srinagar National Highway, kiling 40 jawans.